The scientists behind a recent World Health Organization study which concluded the herbicide glyphosate “probably” causes cancer, say they stand behind their assessment. The comments come in response to criticisms from Monsanto Co., who said the study was based on “junk science”. The main ingredient in Monsanto’s Round Up product is glyphosate. Monsanto executives said they are reviewing their options as they move forward. The battle around glyphosate is also closely linked to the debate around Genetically Engineered or Modified foods. 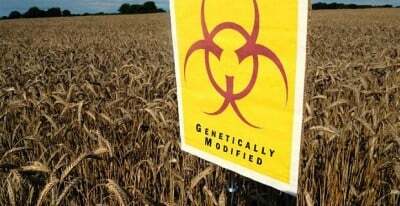 The herbicide is typically used on GM crops such as corn and soybeans that have been specifically modified to survive the harmful effects of the herbicide. Corporations like Monsanto are heavily invested in the success of the chemical. The herbicide has been found in food, water, and in the air in areas where it has been sprayed. Monsanto spokesman Thomas Helscher stated,“There are no epidemiologic studies suggesting that exposures to glyphosate-based products are associated with renal disorders either in Sri Lanka or elsewhere. The paper presents a theory, the theory has not been tested, and there are a significant number of publications supported by data that make the Jayasumana hypothesis quite unlikely to be correct.” Despite promises from Monsanto, the evidence indicating dangers related to glyphosate continue to pile up. With the USDA’s decision late last year to approve a new batch of genetically modified corn and soybean seeds designed to be resistant to glyphosate, we should expect to see an increase in herbicide use overall, and with it, many disastrous health effects. In fact, the approval by the USDA now partners DOW Chemical and Monsanto together, a move which will only further entrench the control that corporate entities have over governments.